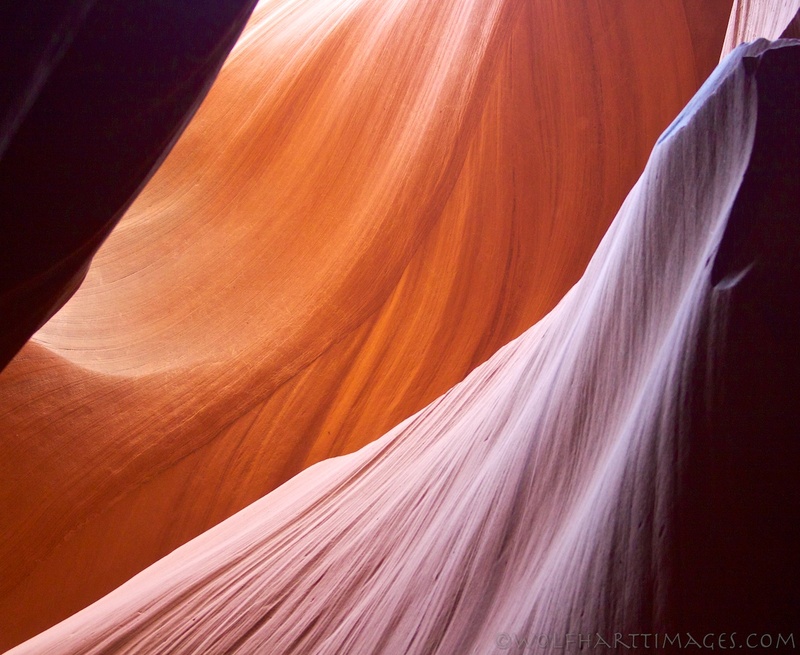 The most popular and iconic place to photograph while in Page, Arizona is Antelope Canyon. It is a river created slot canyon located on Navaho Nation land and has 2 sections open to the public, an upper and a lower. The upper canyon is more easily accessible and has large vaulted rooms. 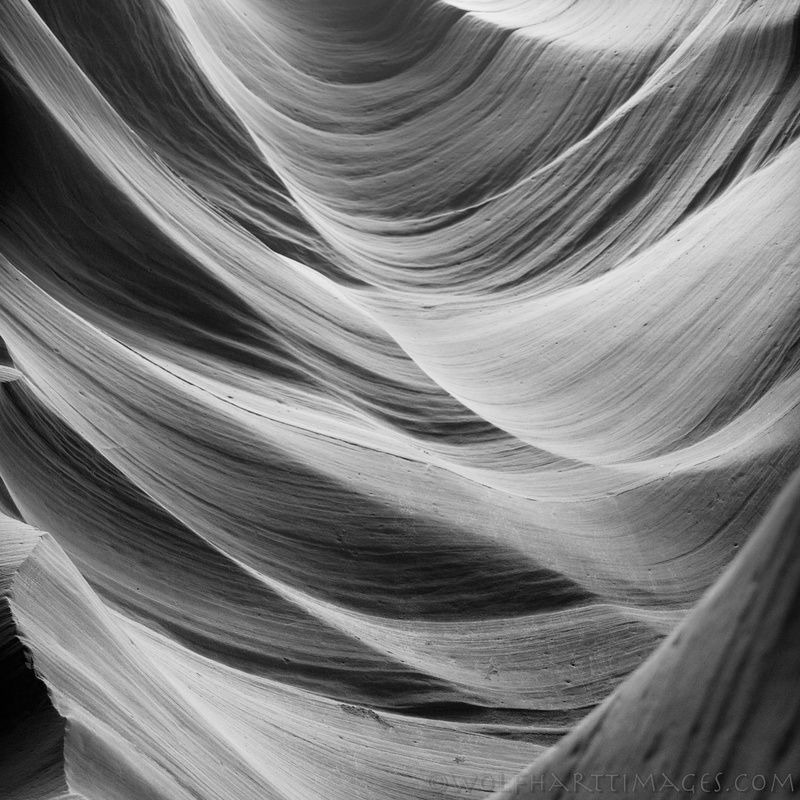 The lower canyon is more narrow and is accessed by traversing steep stairs and ladders. Both canyons can only be visited with a local guide and can become extremely dangerous if there is any rain in the area which can rapidly fill them with rushing water. The local guides carefully watch the weather and will evacuate the slots when necessary. These photographs are from lower Antelope and since I was having trouble deciding which I like better, color or black and white, I have included both for many of them. Click on them to view them larger.